In our previous article we went over two of Google’s algorithm updates designed to catch people trying to manipulate search rankings and deter others from trying the same schemes. With this article we’ll cover slightly friendlier ground with some of the more recent algorithms and updates designed to improve Google’s understanding of language, search intent and the best way to meet its users’ needs through the search results. The September 2013 debut of Hummingbird has been one of Google’s most significant algorithm changes to date. Google gave the algorithm its name because it’s supposed to be "precise and fast," delivering what people are looking for as quickly as possible. In other words, Hummingbird figures out what people are actually trying to achieve with their search, and then delivers them results that helps them reach that goal in as few steps as possible. The reason Hummingbird is seen as a much more significant change compared to other algorithms is that it was actually an overhaul of the entire search algorithm, and not just tweaks to parts or add-ons like the others. Probably the most popular explanation is a comparison to a car engine: Panda, Penguin and the algorithms we’ll talk about in this article were like upgrading specific parts of an engine such spark plugs or the fuel injector. Hummingbird was like putting in a whole new engine. 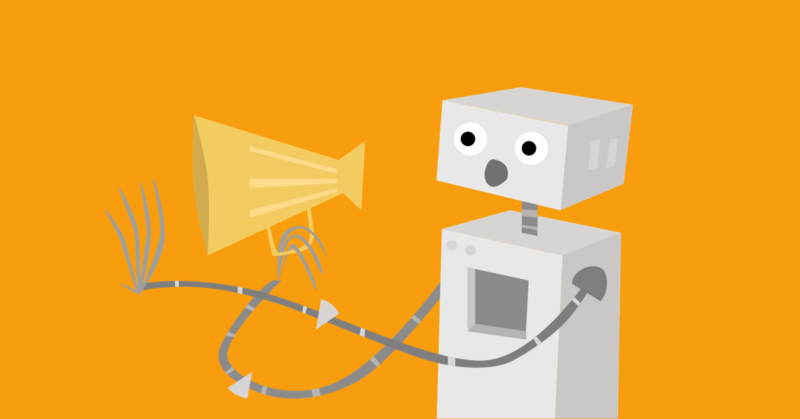 An engine that was able to parse the semantics of conversational language to determine the reason someone was searching the web in the first place. Hummingbird caused a rather fundamental, if unfortunately vague, shift in the approach to SEO: Answer users’ questions. Keyword research and traditional on page optimizations like title tags and <H1> tags are still very important, and your page content should still make use of your target keywords. What this algorithm really changed was shifting the focus from optimizing around keywords to optimizing around users and topical relevance. Take a step back from your keywords and ask yourself "What is my audience looking for when they use a search engine? What information do they need or problem do they have?" Then, build your pages around answering their question or solving their problem. Keyword research: Develop a keyword strategy based around questions your audience asks in order to solve their problems. A good place to start is your own customers by tracking questions received by your customer support team or sent via email and contact forms. Then, do keyword research to find the actual queries used to ask those questions. Long-tail keywords will likely be a big part of your keyword strategy. Content optimization: This may be easier said than done, but content should now be structured around answering users’ questions and providing them with solutions. Don’t just track traffic and website ranking when looking at your analytics. Look at bounce rate, time on page and, if possible, use a heat map like Crazy Egg to measure user engagement. These are important metrics Google uses to judge the relevance of your page to a topic and whether or not you’re giving its users a quality experience. Search results for web search and Google map search are now better connected, so you should see more similar results across platforms. Local search ranking signals are now more aligned with traditional results. 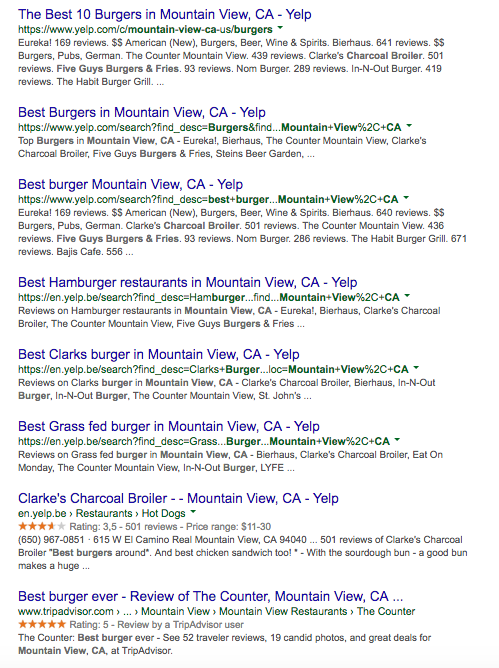 Review sites and local directories got a boost in search results. Yelp is the most prominent site that benefited from this, but it also helped sites such as Urbanspoon, OpenTable, TripAdvisor, Zaga, etc. It better integrates location and distance parameters, so users can search for locations within their informal neighborhoods and get more accurate results. Hyperlocal is now the new local. That means Pigeon puts more weight for keywords, citations and Google+ profiles that specify neighborhoods instead of cities, states or regions. One of the major changes for the local search results was the reduction of the search radius and increased focus on neighborhoods. The reduced radius resulted in an increase in the number of neighborhoods, which means that a site optimized for Cambridge, MA could find itself lose rank because Google is now able to better determine if someone is searching for something in Harvard, Central or Kendall Squares. A site could also lose rank since Pigeon shifted the borders of some neighborhoods around to better reflect their boundaries. A site who ranked well for Harvard Square searches could now actually be considered in the Central Square area, and so lose traffic. So how to deal with these new neighborhoods? If you’re in a big city, focus your optimization on neighborhoods, not the city. Use the neighborhood names people actually use and search for - you’ll probably have to do some research for this. If you’re in a smaller city that doesn’t really have neighborhoods, optimize for the city, not region or state. Keep your name, address and phone (NAP) information consistent. It’s one of the most important local ranking factors, while incorrect/inconsistent NAP is one of the strongest negative signals. When your neighborhood has two different names, either formal or informal, or you’re right on the border of two, which should you target? Both. Finally, once you’ve got your citations in order, make sure you’re also doing local on page, off page and content SEO for local keywords. Create content targeted to a local audience and optimize on page elements like title tags and meta descriptions using your local areas. Remember: Pigeon didn’t replace Hummingbird, so you still need to focus your content on answering users’ questions or solving their problems. You just need to do it with some local flavor. RankBrain is the name of Google’s machine learning AI system that helps interpret search queries and topical relevance. Machine learning is the process through which a computer is able to teach itself how to do something or improve its process. Technically, RankBrain isn’t a ranking algorithm, it’s part of Hummingbird and we know it’s really important for search rankings. Instead, think of it as a query interpretation algorithm. 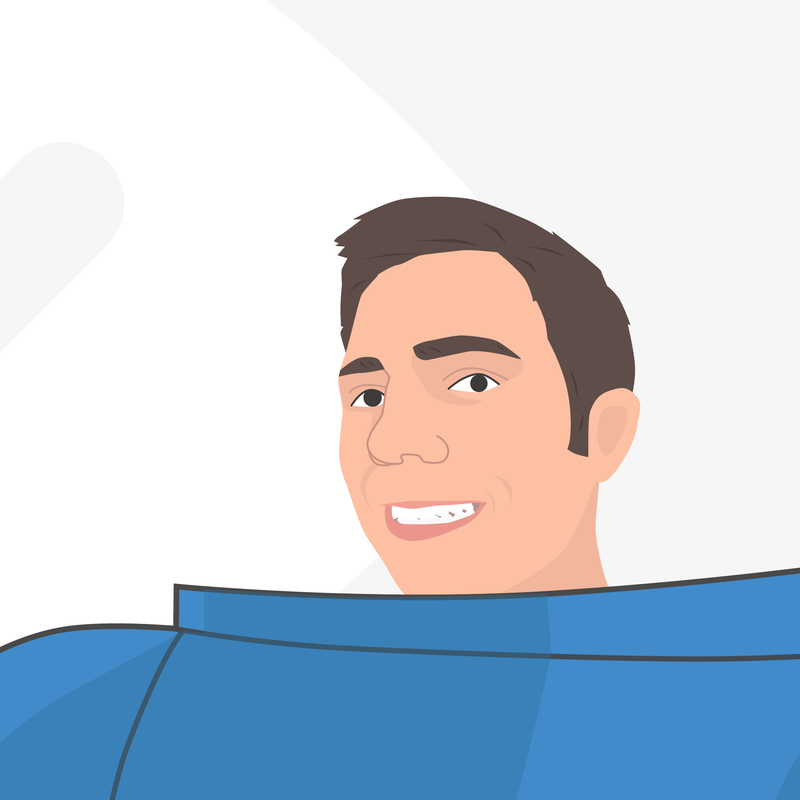 To use Google Webmaster Trends Analyst Gary Illyes’ [BD1] example, take the query "How to beat a video game without cheats." In the old days, Google sees “without” as a stop word, and ignores it. This results in the user seeing a lot of results for video game cheats, which is the exact opposite of what they wanted. But with RankBrain, Google is better able to understand what, exactly, the user is looking for and display more relevant search results - in this case, guides to beating a video game without cheating. RankBrain’s impact on SEO has been very subtle, and you can’t really optimize for it like you can for other ranking signals such as title tags, page speed or local citations. Instead, the best way to optimize for RankBrain is to think beyond individual keywords and focus on topical relevance using semantically-related words and phrases. For example, let’s say you’re an SEO company that wants to rank for "SEO site audit." The process still starts with keyword research to find how people are searching for your topic. Then, normally you’d write different articles defining a site audit, explaining how to conduct one and what to do with it when you’re done. These days you want to combine all three of those shorter articles into one complex piece that covers the entire topic of SEO site article. Since RankBrain is looking for sites that answer a question or solve a problem, it will be able to interpret your content as relevant to someone looking to learn more about SEO site audits. Page speed: Internet users are impatient, and mobile users are even more so: 40% of mobile users will abandon a site that takes three or more seconds to load. To be considered mobile friendly, Google expects you to load content above the fold (ATF) in one second or less. When designing the mobile version of your site, keep in mind that the DNS lookup, TCP handshake and HTTP request and response takes up more than half that time, so you only have about 400 milliseconds you can influence. When building your site, take what steps you can to reduce page load time. User experience: It’s absolutely vital that your site’s mobile version is configured so that users can find the information they are searching for or complete their goal on your page. Users don’t like mobile pages that aren’t designed for easy navigation: 40% will leave sites that aren’t mobile friendly. Google doesn’t like sending its users to sites with a bad user experience, so this is important for mobile SEO. Don’t rely on HTML to reduce the size of your images. That just changes the dimensions, not the file size. 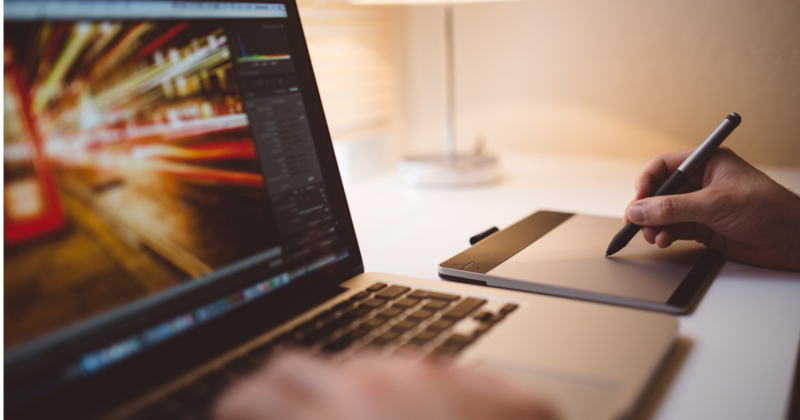 Use a photo editor to downsize your visual assets. Eliminate browser redirects entirely if you can. Sometimes they’re unavoidable, but remember that each redirect is another HTTP request. Don’t use plugins like Flash, Silverlight or Java. They aren’t supported by mobile browsers so they won’t load, leaving sections of your page blank. If you want special effects for your mobile page, use HTML5 instead. Keep tap targets big enough, and space them apart so people can’t accidentally click the wrong link or button. They should be at least 48 pixels in height and width, with 32 pixels in padding around the edges. Accidental clicks will frustrate your users more than almost anything else, so take them seriously. If you haven’t done so already, determine your mobile page’s current mobile friendliness. 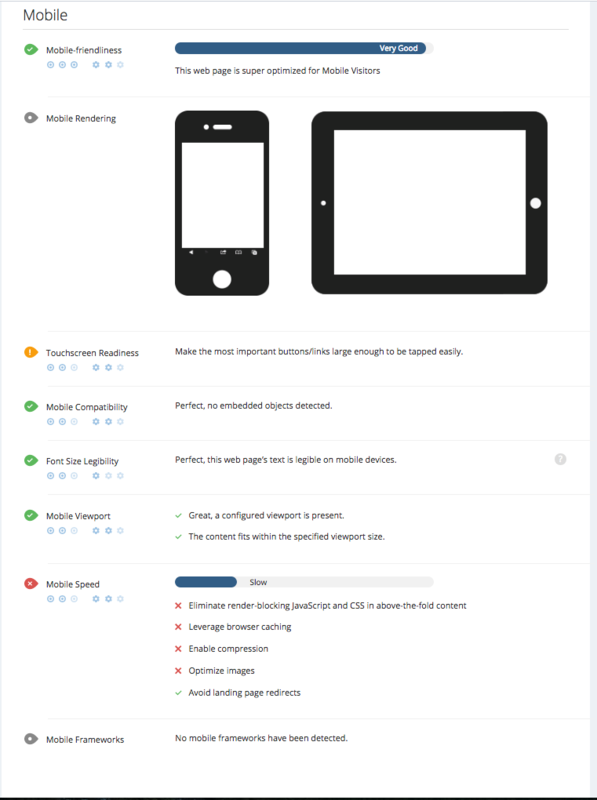 If you have a WooRank Advanced Review, you’re in luck: you’ve already evaluated if your site is mobile friendly. In the Mobile section you’ll find any issues surrounding page speed, touchscreen readiness or rendering that could be working against your mobile user experience. 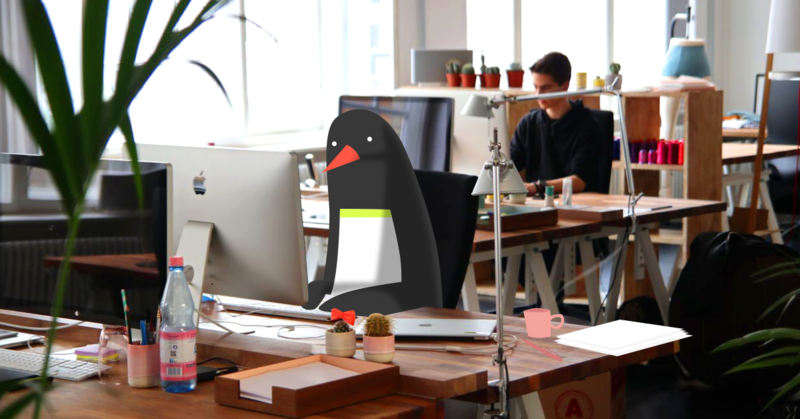 Since these Google algorithms aren’t designed to catch and punish spammers, they might seem a little less scary than Panda and Penguin from our previous post. Even if you saw your rankings and traffic slip after one of these updates, an adjustment to your SEO strategy based on new or modified ranking signals will help bring your rankings, and traffic, back up.